About us News ADHESIVE TAPE STRENGHT – WHAT TO LOOK OUT FOR! ADHESIVE TAPE STRENGHT – WHAT TO LOOK OUT FOR! We have already written about adhesive tapes in the EkObal School, specifically their adhesion and testing in common conditions. This time we will focus on the thickness of adhesive tapes, as there are many tapes on the market whose technical sheets do not meet the actual parameters and are often interchanged. The article How to Easily Compare and Test Adhesion of Adhesive Tapes is available here. 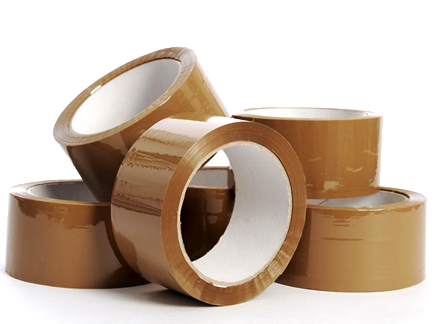 Due to the high pressure on the price, producers and importers of adhesive tapes are forced to look for any savings. The quality then often suffers. In recent years we saw a drastic reduction of the thickness of the adhesive tape carrier, i.e., the thickness of the PP film on which the glue is placed, as well as of the glue layer itself. The use of a weaker carrier and glue reduces the rigidity of the tape and its adhesive strength. Unfortunately, this cannot be identified visually and such tapes are easy to interchange with each other. If we were to calculate the price difference, for instance for a 48 mm x 66 m tape, the price difference can reach up to CZK 2,851.20 per pallet. HOW TO DEAL WITH IT IN PRACTICE?